14 New Korgy & Bass beats dropping Oct 12! 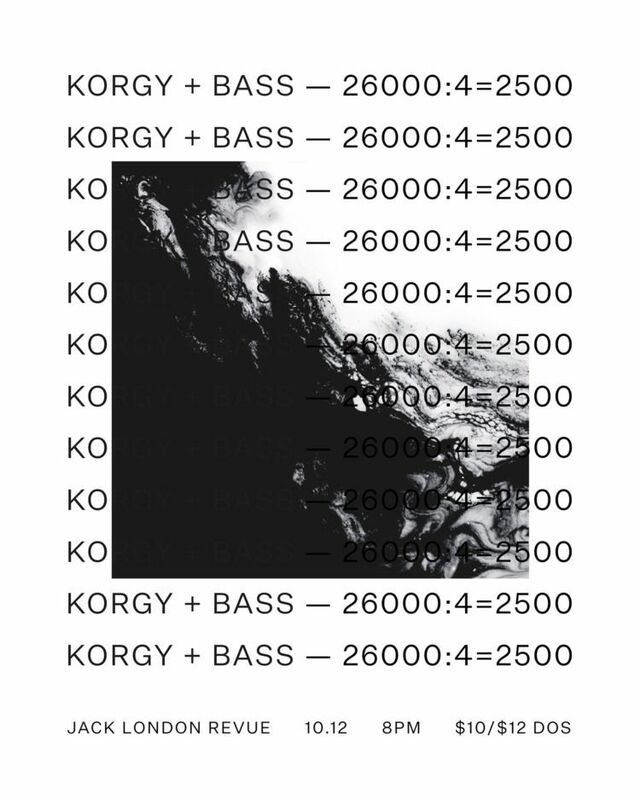 Korgy & Bass, comprised of drummer/composer Barra Brown and bassist/beatmaker Alex Meltzer, is an expertly-crafted blend of hip-hop beats, jazz experimentalism, and forward-thinking composition. Using limited instrumentation and improvisation in their performance, the duo drops massive grooves that harken back to hip hop’s Golden Era, while simultaneously paving a way for future sounds. The result is a sonic journey composed of digital/analogue textures and creative beats laid down in real time.